Baby G now weighs about 3 3/4 lbs, about as much as a large jicama! that it’s some sort of turnip looking root that is very popular in Mexico. Baby G and I are progressing right along through this third trimester. and I’m getting more and more tired as the days progress. 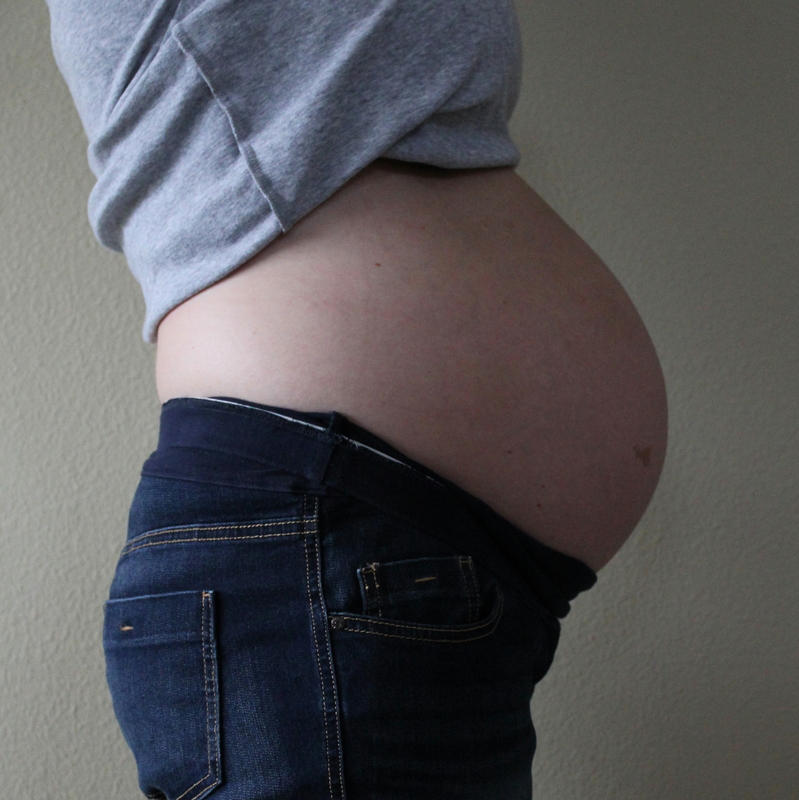 women hit the third trimester wall… I feel like it’s quickly approaching! and our prenatal education classes at the hospital! Seriously, this little girl is going to be here before we know it! You can see how I’ve progressed every week or two here!